So this crazy thing happened while I was editing an interview on Premiere Pro CC 2014.The audio just keeps looping. 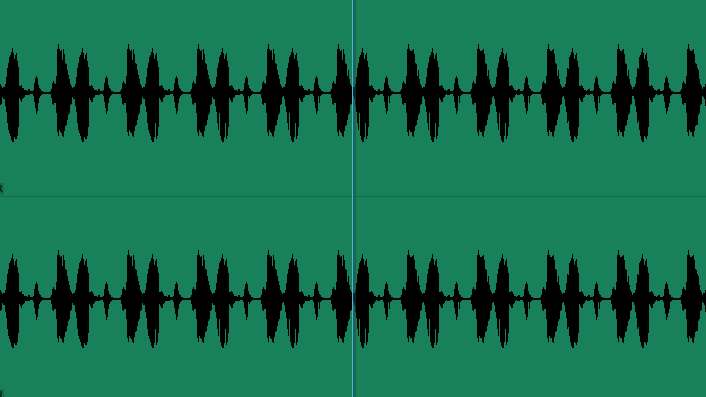 At first I thought it was just problematic playback but upon checking the waveforms, this is what it showed. The sequence was edited on another workstation on a PC. It was reconnected again in this current workstation on a Mac. So the audio files had to be re-conformed. So obviously there’s some corruption going on when conforming this clip. DELETE the corrupted conformed audio files.